In the wake of Donald Trump’s election earlier this week, America’s overwhelmingly liberal college campuses have been struggling to come to terms with the President-elect. Administrators and professors, many of whom were shocked by the results of the election themselves, immediately moved to offer support to students and colleagues who were distraught by Trump’s victory. 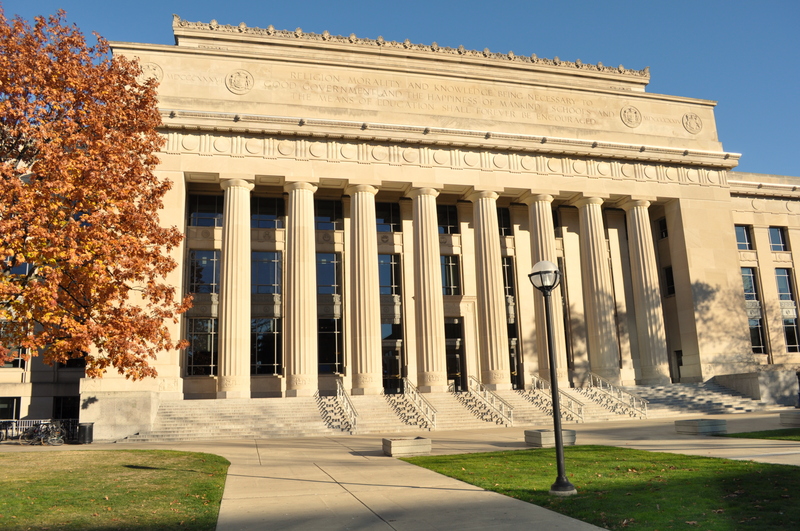 University of Michigan President Mark Schlissel, along with several Deans and Department Chairs, sent out emails to students offering support, safe spaces and expressing sympathy to those struggling to come to terms with the results. In an additional show of support, Schlissel also advertised and spoke at a vigil organized by students to express both sadness and fear Wednesday evening. Some professors have also cancelled classes or moved exams to accommodate student anxiety. Amidst the post-election outrage, conservative students have emerged to support their political beliefs and opinions. While the recent hashtag #NotMyPresident has dominated student movements and populated the social media feeds of many millennials, conservative students at the University of Michigan have tried to claim their own hashtag: #NotMyCampus. As some will doubtless recognize, this slogan was originally employed by liberal peers to mean “no intolerance on my campus”–particularly in response to the racist, sexist and xenophobic rhetoric of Trump’s campaign. Amanda Delekta, a student in the College of Literature, Science and the Arts, authored an open letter to University administrators also entitled #NotMyCampus. Delekta’s letter describes both her experience with recent events on campus as well as personal feelings of having her conservative views reduced to accusations of racism, bigotry and sexism. Throughout her letter, she calls upon the University to support all of its students and to foster open dialogue and unity rather than divisiveness and hate. is it at all possible to have an open dialogue with Conservatives, liberals, POC, everyone? As a liberal POC, new grad student to UM. I understand where the conservatives are coming from. Diversity should and does include you guys. I think we should all be able to talk about this to understand each other. Not hating or coming at each other because of our differences. Just trying to understand why we are. Great article! Is it possible to print Amanda Delekta’s open letter? No doubt many would love to read it.